I guess you could say I’m all about rolling it out this week. While I’m just starting to get more serious about my self-care habits (ahem, foam rolling), I’m also getting serious about rolling into some deeper backbends. Anyway, a couple of months ago, I started noticing that every Instagram crazed yogi (aside from me) was posting photos with a wheel. Sometimes they would have their wheel sitting somewhere in the background; other times they were using them to amplify or support their backbend or balance postures (yes, balance). 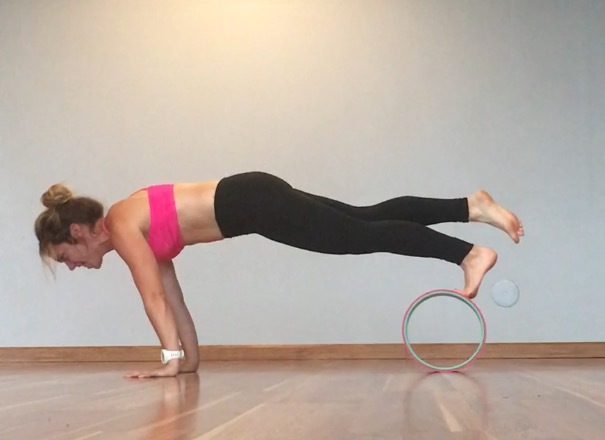 Of course, I was curious and eager to try a wheel in my own practice to see if I could use it to deepen my backbends, challenge my balance and maybe even help with my inversion practice. Was this trendy tool really all that? I received a Plexus Yoga Wheel to review and I’ll admit, ever the skeptic, I thought: could it be worth it? I mean, it’s just a wheel? 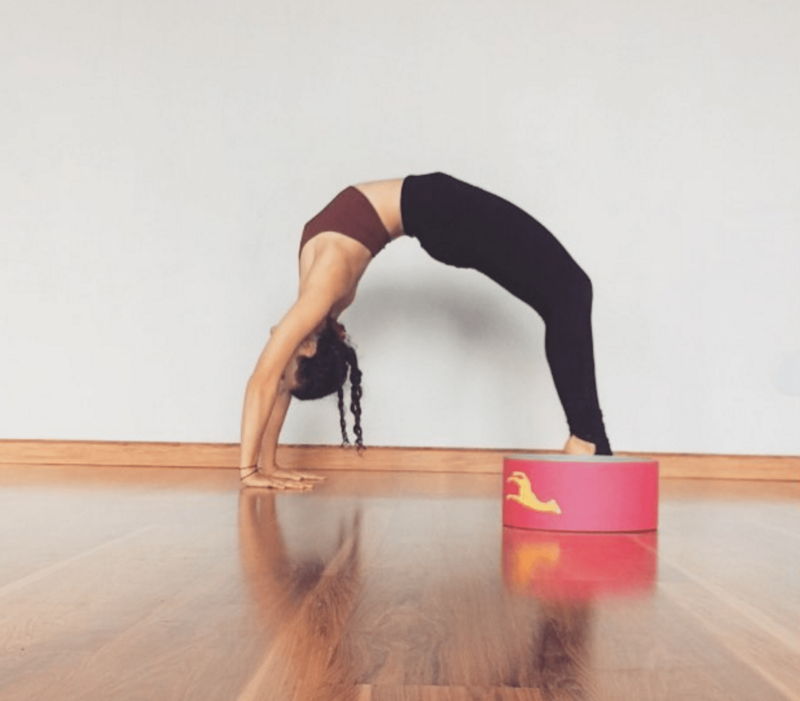 Could it really strengthen and support my backbend practice? Would I be able to integrate it into my balance practice and use it to support and amplify other postures? And the number one reason you need this wheel, is that for just under $75, you get a super cute giraffe cut out in the mail (also featured on your wheel) and a wheel that comes in cute, Instagram worthy colors (I chose pink, naturally…). I kid, I kid. It helps support and amplify your backbend practice…like whoa. 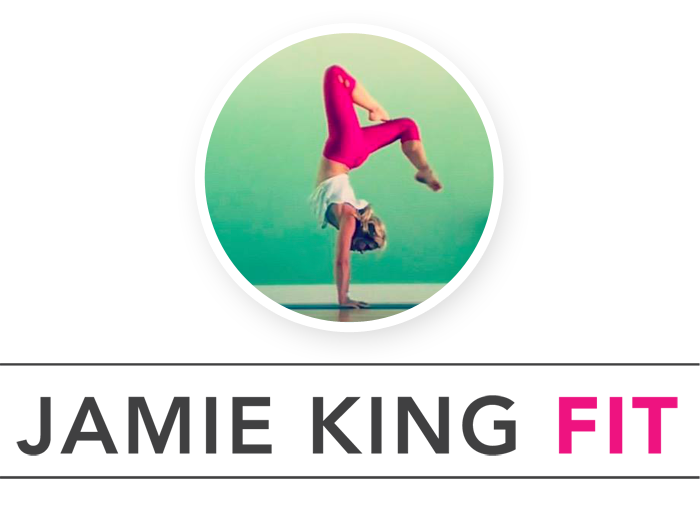 If you want your own Plexus Yoga Wheel, I’m giving away a $25 gift card for PYW to one lucky, about to get real bendy winner! Hop on over to my Instagram account for more ways to enter and WIN! Disclaimer: I was provided with a Plexus Yoga Wheel for review purposes. Plexus Yoga Wheel also provided the $25 gift card that I will be giving away. That said, all opinions, thoughts expressed, etc are indeed my own. I truly appreciate Plexus for supporting the Sweat Pink and Flex & Flow communities. Stay sweaty (and bendy!) friends! Five things Friday: happy birthday America! I would love to win the Plexus Yoga Wheel because I’ve been doing Yoga for a while and I think it’s time to turn it up a notch! I LOOOOOOVE my wheel! It’s been helping me deepen my backbends so much! Anything that deepens my backbends is a winner!!! Yes yoga wheels! I’d love to try out the yoga wheel! I actually just purchased one of these for my yoga sister’s birthday and she can’t stop raving about it! 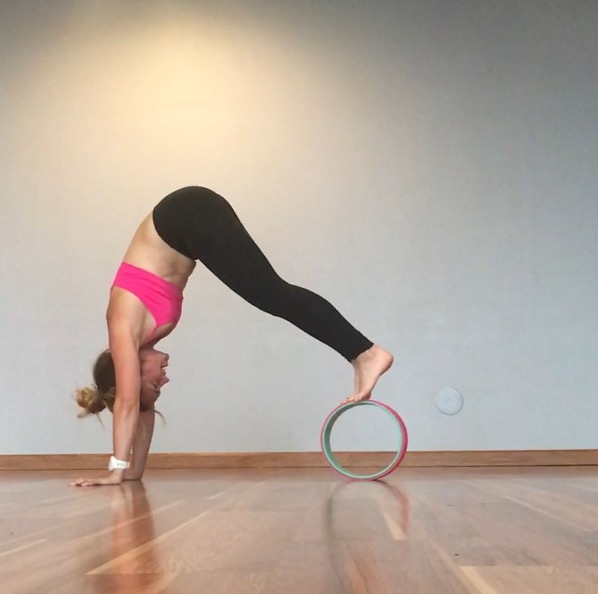 I’m rather new to yoga but I would love to try out a yoga wheel and see what I am capable of!